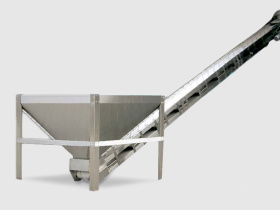 Olives conveyor for feeding the washing machine, composed by a loading stainless steel hopper, a belt made in acid resistant food rubber, belt cleaning brush, motor with speed variation. 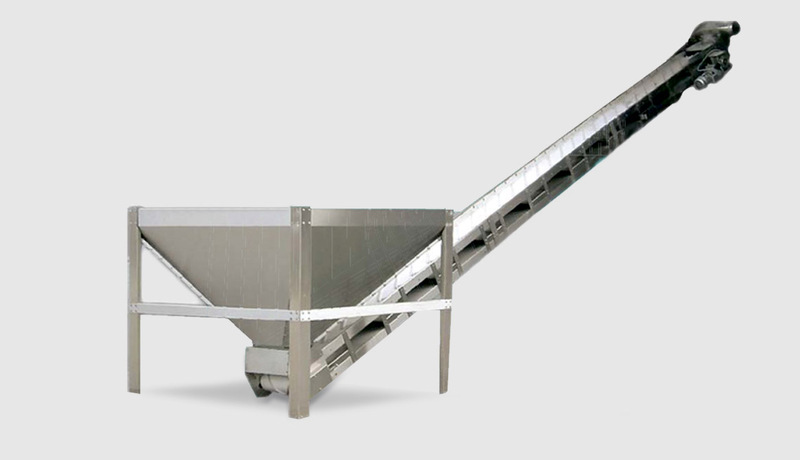 For olives washing, completely in stainless steel composed by a vibrating screen with grids to push the olives forward and to discharge possible residual leaves. 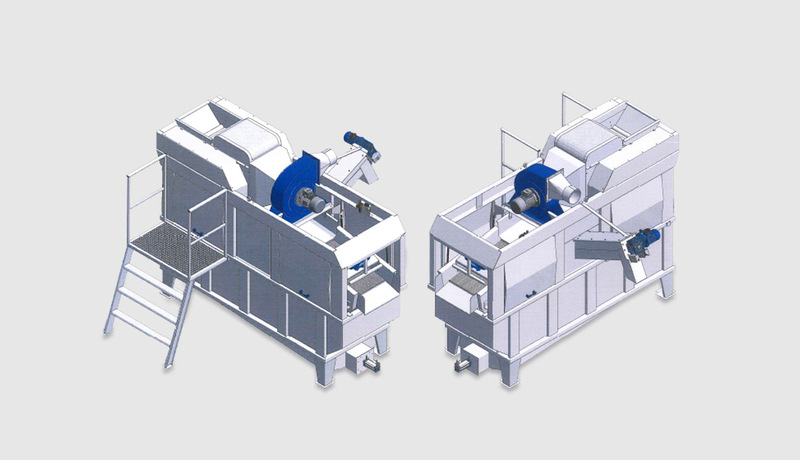 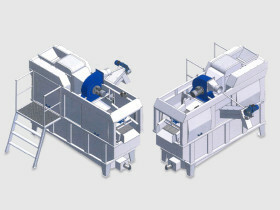 Second wash jets and automatic-delayed sludge purging and water loading systems.